The competition this year has changed only one prize will be given. Due to the large volumes of Pink Snapper caught through the season, we have decided that the biggest one caught will win a complimentary fishing trip valued at $2420.00 with Indian Chief the following year (please note, only guests that book for the week are eligible). 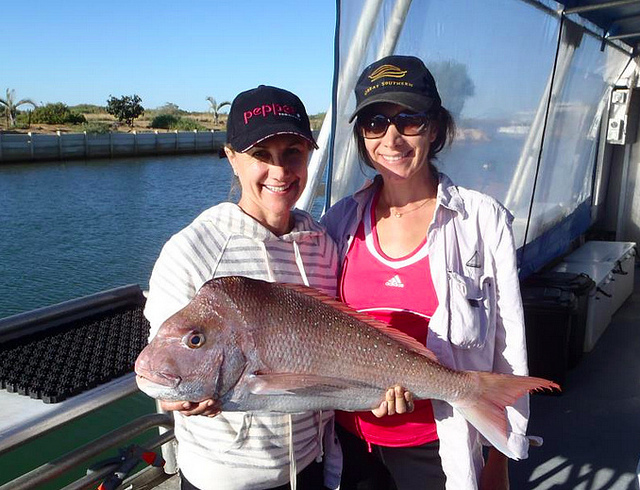 Each week the biggest Pink Snapper caught will be recorded, photographed and posted on the ICC web site and facebook page for all to see. 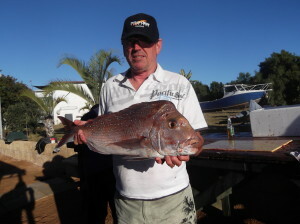 Sorry about the late post, been having internet and pc complications, but Spider is leading the competition with his 770mm Pink Snapper, 735mm to the V. Great work Spider. 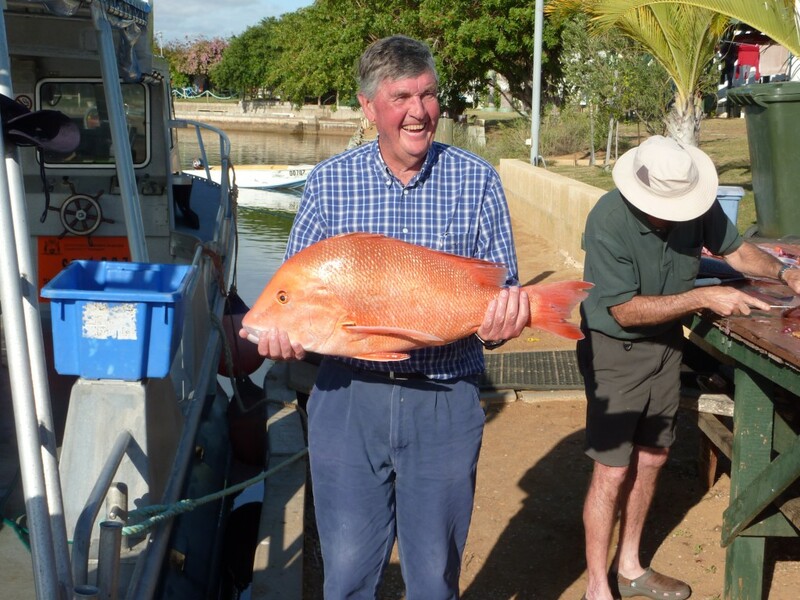 Best Pink Snapper. 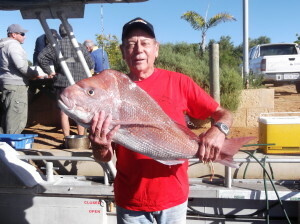 Alistair is leading the competition with his 780mm Snapper that he caught today in less than ideal conditions. His fish is 35mm longer than Dave’s and 35mm longer than Alan’s. Just to clarify, we are measuring the fish for the competition to the V rather than to the tip of the tail because it cannot be distorted. 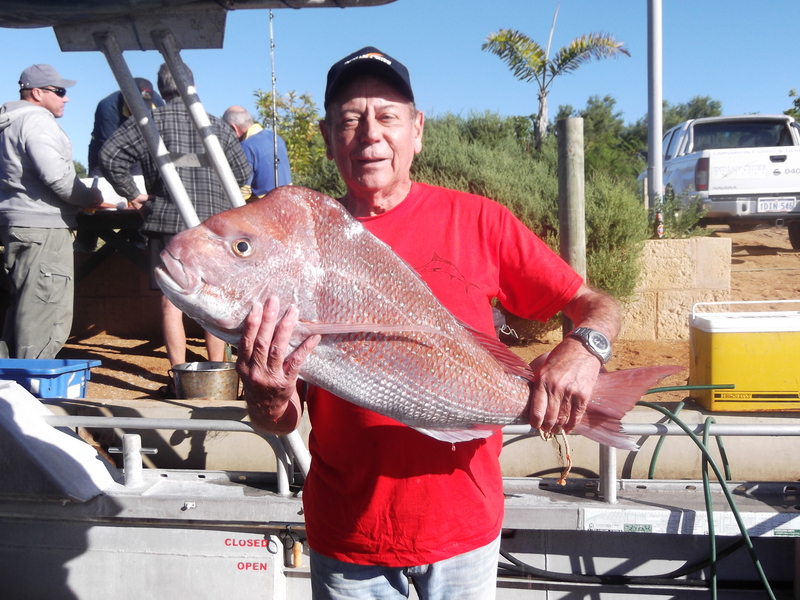 The winner of the best Pink Snapper is Harry Griffiths (not pictured here) Congratulations to Harry. Tom James won ‘Best Red Emperor’ for season 2012 with this beautiful fish at 760mm. Congratulations Tom, we have a $100.00 gift voucher for Compleat Angler in Nedlands and a plaque for the pool room. 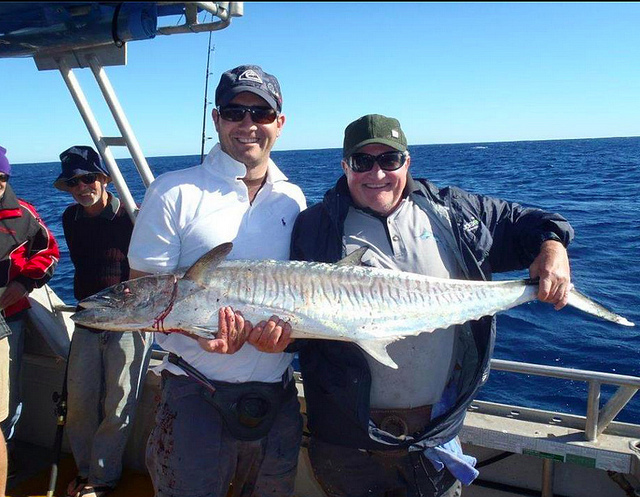 It was a tough decision for Brett to pick “Skippers Best Fish” caught on Indian Chief Charters during 2012 Season. 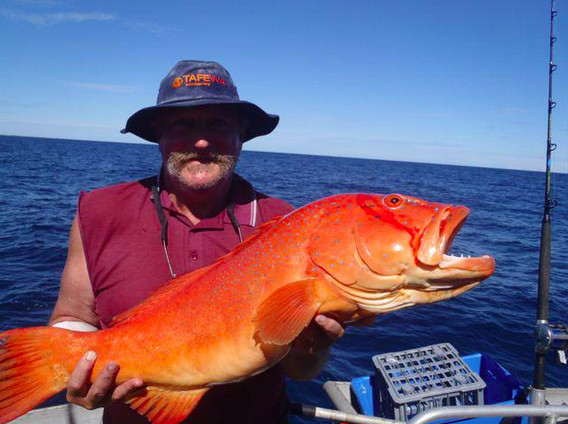 The winner for “Skippers Best Fish ” was a Coral Trout caught by Peter Ekert~ 790mm. 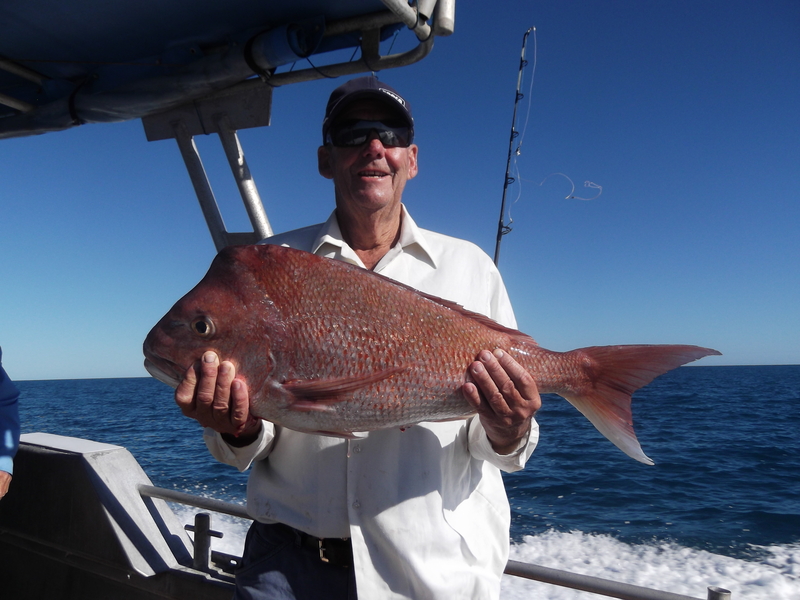 CONGRATULATIONS Peter you will receive a $100.00 gift voucher for Compleat Angler in Nedlands and a plaque. The winner for Indian Chief Charters 2012 Season Competition for “Best Spanish Mackerel” is Troy Francesconi ~ 1420mm. Congratulations Troy you will receive a $100.00 gift voucher for Compleat Angler in Nedlands and a plaque.